Proline-directed protein kinases (PDPKs) are protein kinases (PKs) that phosphorylate serine or threonine preceding a proline residue (S/TP motif). It is known that these enzymes are responsible for tau hyperphosphorylation, which is related to the formation of amyloid plaques (APs) and neurofibrillary tangles (NFTs) in Alzheimer’s disease (AD) patients. In this sense, the inhibition of certain PDPKs is considered a promising strategy to elaborate therapies against AD. The structures of the most important PDPKs are available as high-resolution X-ray crystals; many of them are co-complexed with inhibitors. This information is very valuable because it constitutes a source for creating additional structural information with the aid of molecular modeling methods. Molecular modeling includes methodologies such as docking, molecular dynamics (MD), free energy calculations, etc. that allow accessing to other properties such as the effects of water media, conformational sampling, and binding energy estimations. More importantly, these methods allow to use the available structural information for generating the structures of novel complexes, which can contribute to the rational design of novel inhibitors. 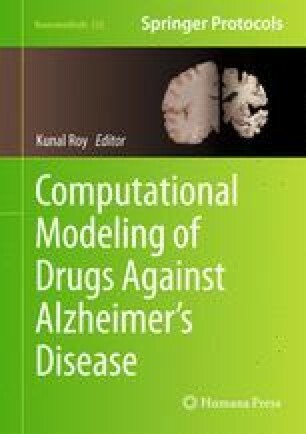 Here, we extensively reviewed how molecular modeling methods have contributed to the study of complexes between PDPKs and their inhibitors. We also analyzed the interaction fingerprints (IFPs) generated from the available complexes for each PDPK. IFPs capture the most important interactions between proteins and their ligands which can be used for guidance in docking experiments and in silico screening of novel candidates.